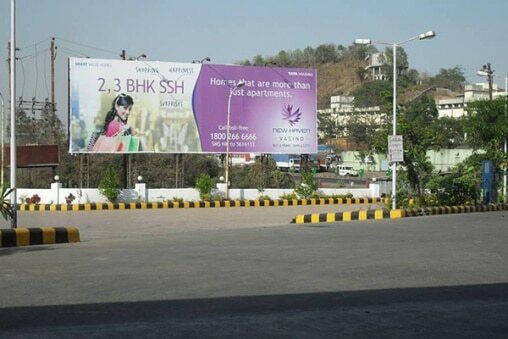 We have been a preferred outdoor advertising company in Ahmedabad as we know the easiest and simplest way to advertise your brand at the cost-effective rates by means of the billboard advertising. To convey the message to the transit consumer, it is essential to develop a billboard advertising that is creative and simple to convey a message in the shortest possible time and that we attain by means of the captivating color combination of the graphics and ensuring the text is short and readable from the distance. Our billboard advertising in Ahmedabad is guaranteed to engage the highest number of consumer passing by and give your business a new lead in the era of the high competition in shortest possible time. The premium locations, technology, second to none quality printings are our backbone enabling us to advertise your brand at the right place where potential customers are and help you get the foremost returns on the investment, our 80+ years of experience in the allied domain is an adequate attestation of our proficiency. Be it non lit, front lit or backlit, our every billboard advertising in Ahmedabad has proven its attention-grabbing potency in every area of Ahmedabad, available in ranging packages in order to match with variegated budget constraints of every consumer coming to us. Get your product/service visible in the most affluent areas of Ahmedabad by investing in our low-cost billboard advertising today.